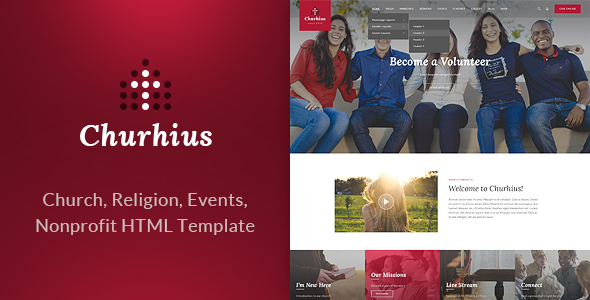 Churhius Religion HTML Website Template is fully-designed for churches, charity, non-profit or Prayer group. We created all necessary elements, pages, ministries, events and cermons pages. Start with Churhius HTML Website Template today and convert your visitors to your prayers. 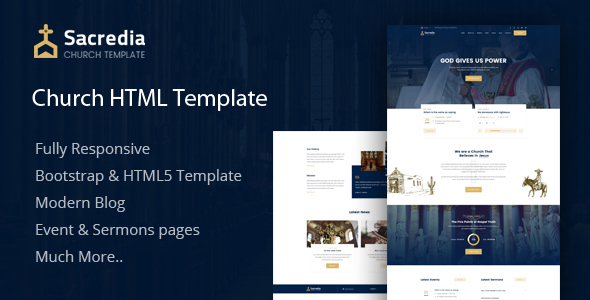 Our Church HTML website template has many intuitive features for churches, charity or any non-profit organizations.